IT is complex. And that means it can be difficult to keep up with the day-to-day demands of your organization, let alone deliver technological innovation that drives the business forward. In desktop management, this is especially true: the process of creating standard images, deploying devices, testing updates, and providing end user support hasn’t changed much in years. It can be tedious, manual, and time consuming. We’re determined to change that with our vision for a modern desktop powered by Windows 10 and Office 365 ProPlus. A modern desktop not only offers end users the most productive, most secure computing experience—it also saves IT time and money so you can focus on driving business results. Cloud-based analytics tools to make modern desktop deployment even easier. A program to ensure app compatibility for upgrades and updates of Windows and Office. Servicing and support changes to give you additional deployment flexibility. Collectively, you’ve told us that one of your biggest upgrade and update challenges is application testing. A critical part of any desktop deployment plan is analysis of existing applications—and the process of testing apps and remediating issues has historically been very manual and very time consuming. Microsoft 365 offers incredible tools today to help customers shift to a modern desktop, including System Center Configuration Manager, Microsoft Intune, Windows Analytics, and Office Readiness Toolkit. But we’ve felt like there’s even more we could do. Today, we’re announcing that Windows Analytics is being expanded to Desktop Analytics—a new cloud-based service integrated with ConfigMgr and designed to create an inventory of apps running in the organization, assess app compatibility with the latest feature updates of Windows 10 and Office 365 ProPlus, and create pilot groups that represent the entire application and driver estate across a minimal set of devices. The new Desktop Analytics service will provide insight and intelligence for you to make more informed decisions about the update readiness of your Windows and Office clients. You can then optimize pilot and production deployments with ConfigMgr. Combining data from your own organization with data aggregated from millions of devices connected to our cloud services, you can take the guess work out of testing and focus your attention on key blockers. We’ll share more information about Desktop Analytics and other modern desktop deployment tools at Ignite. We’re also pleased to announce Desktop App Assure—a new service from Microsoft FastTrack designed to address issues with Windows 10 and Office 365 ProPlus app compatibility. Windows 10 is the most compatible Windows operating system ever, and using millions of data points from customer diagnostic data and the Windows Insider validation process, we’ve found that 99 percent of apps are compatible with new Windows updates. So you should generally expect that apps that work on Windows 7 will continue to work on Windows 10 and subsequent feature updates. But if you find any app compatibility issues after a Windows 10 or Office 365 ProPlus update, Desktop App Assure is designed to help you get a fix. Simply let us know by filing a ticket through FastTrack, and a Microsoft engineer will follow up to work with you until the issue is resolved. In short, Desktop App Assure operationalizes our Windows 10 and Office 365 ProPlus compatibility promise: We’ve got your back on app compatibility and are committed to removing it entirely as a blocker. Desktop App Assure will be offered at no additional cost to Windows 10 Enterprise and Windows 10 Education customers. We’ll share more details on this new service at Ignite and will begin to preview this service in North America on October 1, 2018, with worldwide availability by February 1, 2019. Please reach out to your partner or Microsoft account team for further details. In addition, we are modifying the Office 365 services system requirements related to service connectivity. In February, we announced that starting October 13, 2020, customers will need Office 365 ProPlus or Office 2019 clients in mainstream support to connect to Office 365 services. 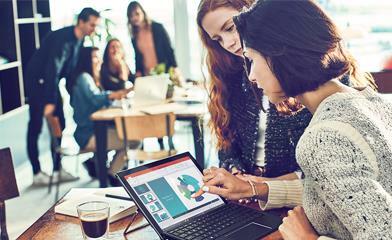 To give you more time to transition fully to the cloud, we are now modifying that policy and will continue to support Office 2016 connections with the Office 365 services through October 2023. You’ve been talking, and we’ve been listening. Specifically, we’ve heard your feedback on desktop deployment, and we’re working hard to introduce new capabilities, services, and policies to help you on your way. The combination of Windows 10 and Office 365 ProPlus delivers the most productive, most secure end user computing experience available. But we recognize that it takes time to both upgrade devices and operationalize new update processes. Today’s announcements are designed to respond to your feedback and make it easier, faster, and cheaper to deploy a modern desktop. We know that there is still a lot of work to do. But we’re committed to working with you and systematically resolving any issues. We’d love to hear your thoughts and look forward to seeing you and discussing in more detail in the keynotes and sessions at Ignite in a few weeks!